Here's your unicorn! Perfect for home owners wanting to get into this coveted neighborhood. Solid brick bungalow is quite livable as it is. Huge wrap-around porch, newer systems and some really beautiful period details. 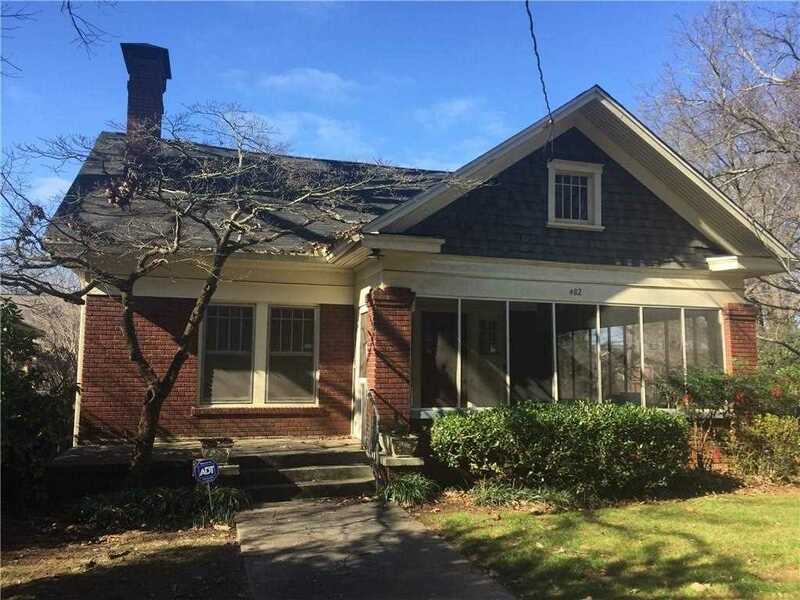 Build sweat equity over time or renovate and move into your dream home within a stone's throw of Candler Park. Property being sold AS-IS with right to inspect. Seller shall make no repairs. SchoolsClick map icons below to view information for schools near 482 Page Ave NE Atlanta, GA 30307.